HTC isn't having the best time of things lately; despite creating what is currently the world's best phone, its finances have taken a hefty knock over the past years and now, for the first time, the Taiwanese company is predicting that it will make a loss by the end of September. It's not the HTC One that's to blame, though; the much-admired handset is selling by the bucketload - better, in fact, than all of last year's hero products, which included the HTC One X, combined. The company's CFO Chialin Chang explained, "If you compare the HTC One - in terms of sell-out, in terms of our internal data - to the combined hero products we had over the same period last year, it's actually performed better." But it hasn't managed to rescue HTC from financial woes, which the company says are the result of higher costs and the flushing out of "ageing products" from its line-up. Over the next three months, the company expects its revenue to fall by up to 30% - it thinks it will bring in somewhere between NT$50bn ($1.7bn) and NT$60bn ($2bn). That's compared to the second quarter's revenue of NT$70.7 billion ($2.3 bn), and it's quite a dip. 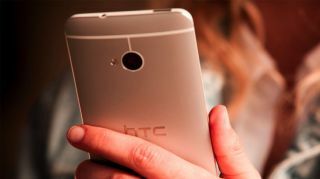 However, HTC says it isn't too worried. CEO Peter Chou promises some more mid-range phone launches before the year is out (to supplement the excellent HTC One Mini) and the company is about to pump millions into marketing - can it turn things around? We sure hope so.